For over 70 years, the Colquitt Regional Medical Center has been serving the largely agricultural community of Colquitt County in the southwestern part of Georgia. 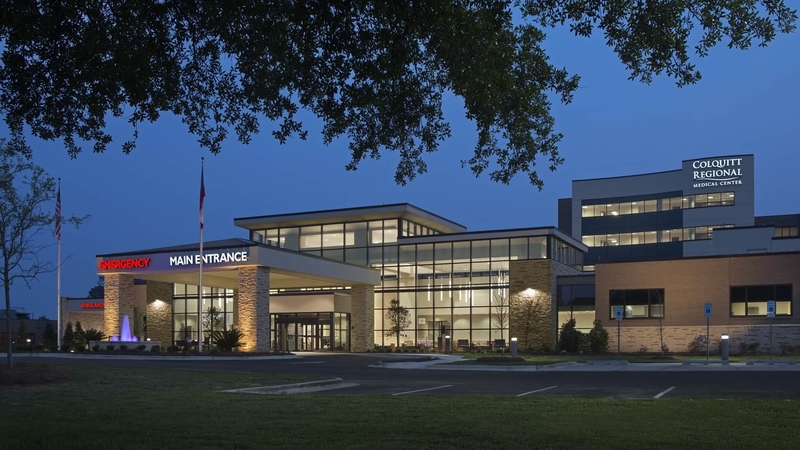 As the area has grown, so too has the hospital, with the most recent expansion and renovation equipping the medical center to provide exceptional healthcare in a modern facility that occupies a place of pride and prominence within the community. This project addressed numerous design initiatives to improve operational performance throughout the facility, increasing patient privacy, patient dignity, and allowing caregivers the space to work out of the public view. New 24 exam room Emergency Department. 20 bed Same Day Surgery Unit. 6 new Operating Rooms with Central Sterile and Supply. New patient elevator tower extending 5 stories to the existing patient floors.